I have worked at both of these kinds of schools in the last few years, and this is what I think about them. For those of you who aren’t aware, these are the two main kinds of schools that you can get hired to as a foreign ESL teacher in Taiwan. I will be talking about elementary school teaching, not high school, university, or other types of adult teaching jobs that are also available. With a Master’s, you can teach in universities as lecturers, outside of Taipei City (but in New Taipei City). You need a Phd to teach at universities in Taipei. As I left the school for a well deserved break, it was about 12:30 and I had yet to eat lunch, I came up the teaching director of the school shouting at someone in her office. While this might seem a common occurrence at most school, it isn’t at ours. I have never seen the TD shouting at anyone. The school is a family-owned affair. The TD’s sister is the manager, the grandmother and great-aunt also work there and all of the kids go to this school. 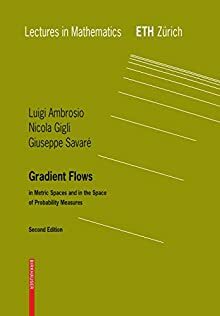 Topics in Geometric Analysis: This class is with my thesis advisor and we will be exploring gradient flows in metric spaces. We will be using Luigi Ambrosio’s book of the same title. It promises to be an interesting class. Although, it’s not exactly what I’d like to do in my thesis, it’s getting there. I’d like more measure theory, but luckily, my advisor is doing research in the field. There are six students in the class, but only 4 were registered on Monday. I don’t know if the other two will be registering, my guess is yes. Two of my classmates are the other graduate students of my advisor. We are all going to a workshop in Hsinchu in Differential Geometry on Saturday. Since I work most Saturdays, it’s not really a problem getting up. It will be a break from the norm, and I have a keen interest in Differential Geometry. Many people ask me if I love Taiwan. I don’t. However, there are good and bad things about living in Asia. First and foremost, we paid off all of our debts. Both my wife and I went back to school fulltime and continued working fulltime, something that wasn’t possible in the US/Canada. We’ve since amassed more debt since we bought a duplex in Illinois (it’s a fixer-upper). I wouldn’t want to do anything but teach in Taiwan, because schedules can be quite hectic in the corporate sector. I’m not interested in that. Neither was I ever interested in going back into programming and web design for a Taiwanese company. Good article in the New Yorker about education and what it means to society. If college is a 4-year IQ test, then what’s grad school, especially in abstract disciplines like pure mathematics? I wonder. I fully appreciate being a graduate student in math. It makes your brain work in funny ways, and I like it. […] that the two most crucial ingredients in the mysterious mix that makes a good writer may be (1) having read enough throughout a lifetime to have internalized the rhythms of the written word, and (2) refining the ability to mimic those rhythms.